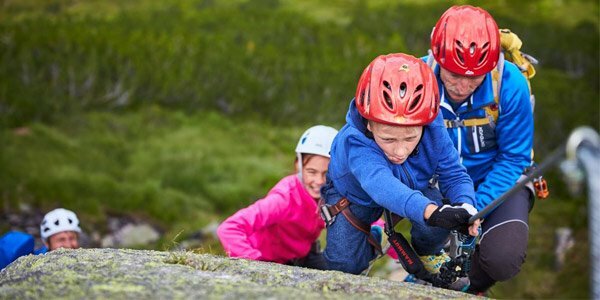 Active Family Holidays – Where to go this summer? It is very difficult to find a suitable destination for active family holidays. The location must be acceptable for the whole family and interesting for a wide range of ages and interests. You have to be looking for a location that will please all family members, within designated budget. It must be easy to travel, safe and fun! Take your family to Slovenia and have a wonderful time! ActiveHolidays.si guides have years of experience with traveling families that are looking for active and adventure packed holidays. We have prepared a list of best locations and activities. If you are interested in more details – Get you detailed free holiday plan or contact us! You will be astonished by this small country in central Europe. Slovenia is a perfect family holiday place to go. Here you can truly experience untouched nature and enjoy many interesting and unforgettable active or outdoor activities. You will be impressed by beautiful mountains, amazing alpine lakes, waterfalls and general beauty of landscape. 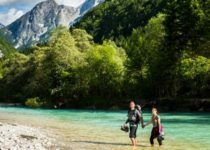 Slovenia is a secret active outdoor destination perfect for active families. Slovenia is a small country with very good highway and road system. It also offers good public transport. Because of short travel distances, it’s really easy to travel with children. Your multi-activity holidays in Slovenia could start with an easy hike in the Julian Alps, and in few hours you could be swimming in the sea. 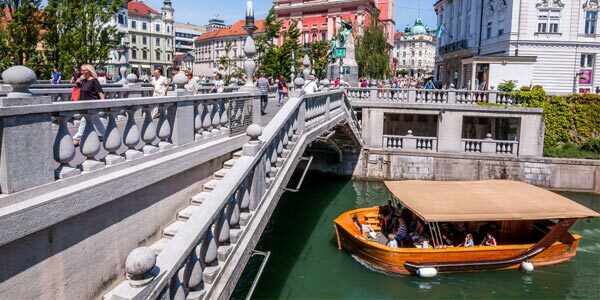 The next day you could find yourself enjoying white water rafting in the emerald-green Soča River, trekking in Bled or visiting capital city of Ljubljana. Everything packed in 3-7 day visit! Slovenia is one of the safest countries in the world. Crime rates are extremely low. People are very friendly and helpful. So don’t worry – just relax! 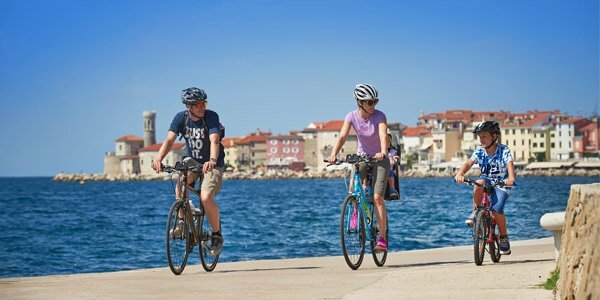 Using our tips, you can be sure that you will never forget this fun-packed active family holidays in Slovenia. Read tips below and if you are looking for more detail information, get your pre-prepared free holiday plan with additional information, local tips and much more! Bled is one of the most beautiful places in Slovenia. It’s located close to Triglav national park, with an amazing lake which you can’t miss if you are visiting Slovenia. Lake Bled, with amazing island is a symbol of Slovenia’s beauty. In summer it is ideal place for swimming and all other water or outdoor activities. 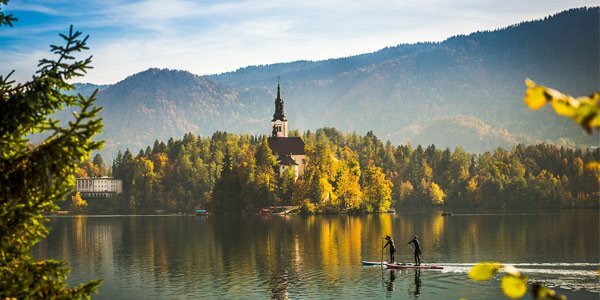 Because of its location, Bled is a perfect starting point for an Active family holidays or short relaxing break. Combine your holidays in Bled with visit of Adventure Park. Park is suited for all ages – here the fun begins for the whole family. Spend a day in nature, swing from tree to tree and have a nice time. Just around the corner, a new adrenaline experience already waiting for you – Summer tobogganing! It offers great views of Bled and inspires little ones and adults alike. Bohinj is one of the most beautiful places in the heart of the Triglav National Park and Julian Alps. The valley is just amazing. On top of this you will admire the beauty of the largest natural lake in Slovenia, high mountains, green forests and beautiful mountain pastures. Bohinj offers endless opportunities for outdoor activities. People come here to hike, chill out or to swim in the crystal-clear, blue-green water of Bohinj Lake. You can also try out leisure cycling or walking along the lake and valley. 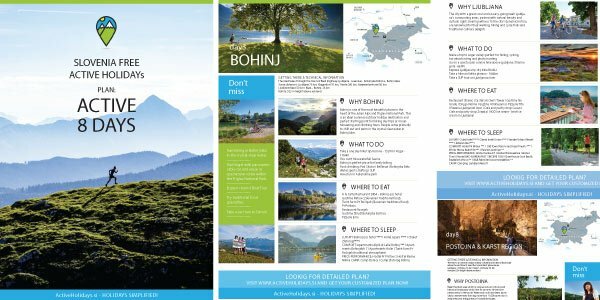 Bohinj is a perfect active holiday destination and an excellent starting point for outdoor day trips and hikes. Take an easy hike along the trails that run throughout the valley. Hop on Cable car and visit Mount Vogel – views of the the Triglav National Park are spectacular. This charming little alpine town is surrounded by the majestic mountains of the Julian Alps and Karavanke. Kranjska Gora is located on the west side of Slovenia, near the border with Italy and Austria. The town is very accessible and offers many outdoor family-friendly activities. Kranjska Gora is great destination for all biking and hiking lovers . It offers amazing tracks for hiking, road cycling, mountain biking, downhill, enduro or just family cycling. 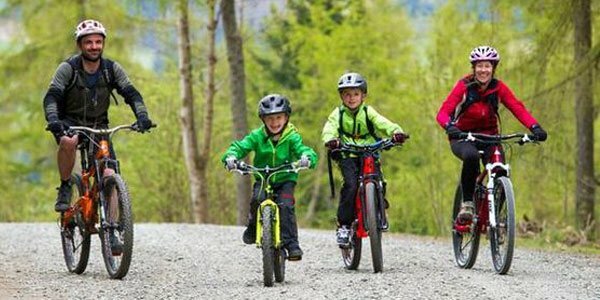 Kranjska Gora is perfect family destination for biking trips. Here you can find numerous trails which are suitable for all ages and experience. Explore astonishing nature on your bike. Discover natural cycling paths and quiet roads with low traffic. When visiting Kranjska Gora, you must also plan a visit to Planica. Just a few kilometers from Kranjska Gora you will find alpine valley, renown for ski jumping and ski flying. See the magnificent ski jumping hill in Planica and discover first-hand how ski jumpers feel, with Zip line that runs over the flying hill! After this thrilling descent (suitable for kids older than 7 years), take a hike to the Tamar Valley. Walk along a lovely forest trail carved in glacier valley and enjoy the scenery. Also suitable for young families. Experience the sensations of the best ski jumpers in the world. 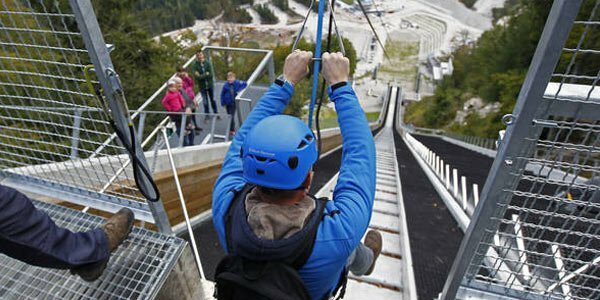 Try out the steepest zip-line descent in the world, and fly over the famous Planica flying hill. Teenagers will love it! There is something unique and special about this valley. The picturesque land surrounding the emerald Soča River conceals many remote corners where you will find the peace you are looking for. 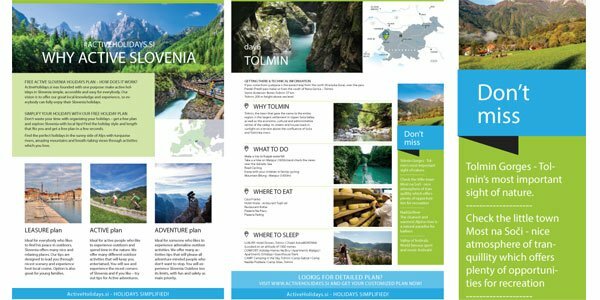 Bovec is a Slovenian outdoor and adventure activity epicenter. Offering perfect relaxation in unspoilt nature, stunning views and so much more. 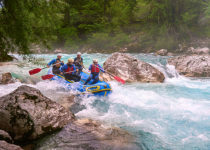 In Bovec you will feel special spirit of adventure and outdoor life! 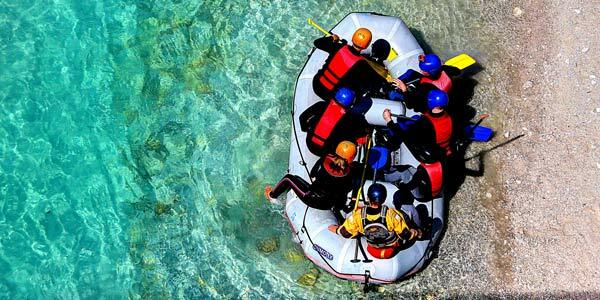 When visiting Bovec and Soča Valley, you shouldn’t miss the opportunity to go on white water rafting. Soča river’s magical colors, amazing scenery and the thrill of the experience will amaze you. Don’t worry – everything is organized at a very high level, with highly qualified guides and all the necessary safety equipment. A must in hot summer months! Ljubljana is the capital of Slovenia. It is a unique, somewhat small city, dotted with pleasant picturesque places where you can expect all kinds of wonderful little surprises. Distances in Slovenia are short, which makes Ljubljana a perfect location for exploring the country’s diverse beauty. Within a single day you can visit the Slovenian coast, or high mountainous regions, or experience the karst region – all within one hour’s. Ljubljana is perfect for trip with kids! You can discover the city by boat and check out the vibe in the capital with the city walk tour. Get the perfect view of the city from Ljubljan Castle, which can be also reached with the funicular railway. Enjoy views over the city and beyond! Kids will be impressed by the fantasies about dragons and knights. On Fridays in summer months you shouldn’t miss the culinary experience of the open kitchen food market. 7. 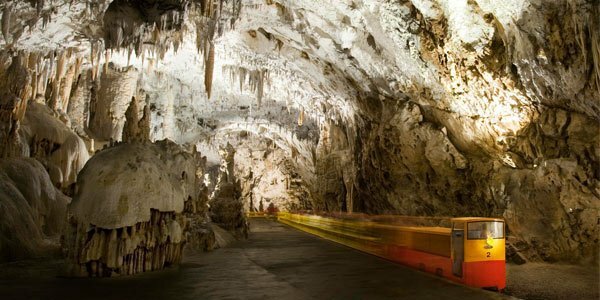 Postojna Cave – the amazing underground world! Postojna is located around one hour drive from Ljubljana in the direction towards coast. Here you can find a fantastic and magical underground cave system. Postojna Cave is the most visited tourist cave in Europe and biggest Slovenian tourist attraction. A legendary train takes you to the underground network of karst tunnels, galleries, and halls. Simply a must see experience! Trip to Postojna cave will be very education and entertaining for the kids and adults alike. 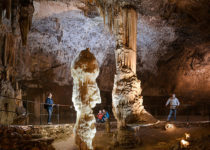 During a guided tour, you will learn everything about the most important karst features, see the largest, 5-metre high stalagmite and much more. You can also visit the oldest underground post office in the world and the most famous underground animal – the human fish (proteus). If you are visiting Slovenia, this is definitely a must-do for your kids. Do you want to experience the mountains up close? 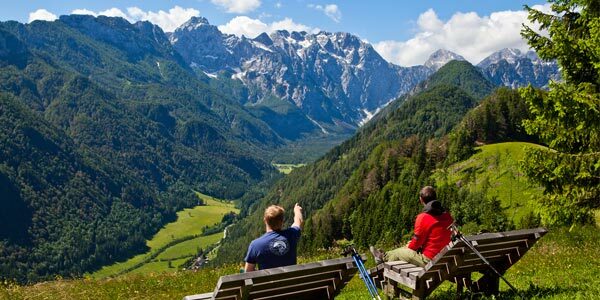 We recommend at least one day trip to Triglav national park, located in north-west part of Slovenia. The park covers area of Julian Alps and offers numerous opportunities for hiking, trekking, or just enjoying the nature. For more experienced hikers, we recommend Via Ferrata above Mojstrana Village. You and your family will be inspired by amazing views of the mountains and you will also have the chance to learn basic mountaineering skills. For your safety – the Via Ferrata trip must be led by professional mountain guide. Enrich your visit to Slovenia with one day trip to Radovna Valley. This small glacier valley is hidden jewel inside Triglav national park. Embark on a beautiful trip to the heart of the Julian Alps. You will get closer to them than anywhere else. Logarska Valley remains hidden for majority of tourists visiting Slovenia. If you want to avoid crowds and discover one of the most beautiful Alpine glacial valleys in Europe – this is the place to go. Tradition and nature are in harmony here. This peaceful, laidback valley is perfect for hiking, cycling, horseback riding, or relaxing and searching for photo opportunities. At the end of the day, you should not forget to taste some of the amazing local culinary specialties. In the heart of Logarska valley you can discover Rinka waterfall– the magnificent 90-metre natural attraction. If you are planning a family trip, this is definitely a must-do family adventure. At the end of your trip you must relax. And there is no better place, if you need time to relax, than Slovenian coast. Enjoy the Mediterranean sunshine and laid back atmosphere. The kids will enjoy the water and beach activities. To finish up your trip – Stop in Piran. Piran is one of the most photogenic towns in the Mediterranean. There you can encounter an amazing mix of the traditions of three neighboring countries: Slovenia, Croatia and Italy. You can combine your time for relaxation with a panoramic cycling tour of Parenzana. Trail is placed on old discarded railroad track, which leads you across complete coast line. It’s an easy ride and views are amazing. The road will take you by the sea, and through idyllic places and tunnels with amazing culinary and wine-tasting stops. Attractive day trip for all the whole family is guaranteed. Slovenia is a paradise for everybody. Its offers fun adventures for the whole family, amazing outdoor activities for sports enthusiasts, and peaceful –laid back holidays for golden agers. Slovenian untouched nature will surprise you! 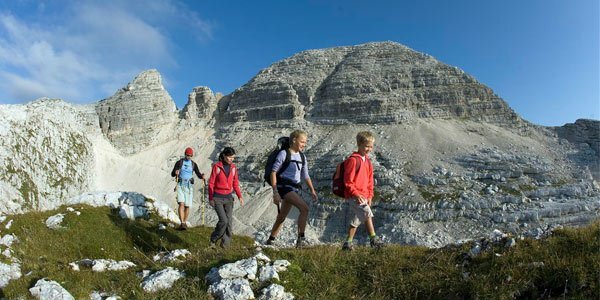 Slovenia active family holidays – Unforgettable experience all family members can truly enjoy! We are sure you will fall in love with this green paradise, just like we did!